GoodGym is a charity which combines running for fitness with community projects. Members run in groups to locations which need gardening/rubbish clearance/landscaping, or to elderly people who are isolated/lonely/housebound to chat and build relationships and do household chores. The brainchild of Ivo Gormley, GoodGym pairs up people who want to get fit with elderly people who need company and practical help, and locations which need an upgrade. He describes it as “flashmobs for doing good stuff”. His aim is to help people to get fit, who in turn help their community. This is a great idea to combat the isolating effect of big cities, and create “cities where no-one is left alone”, in Ivo Gormley’s words. 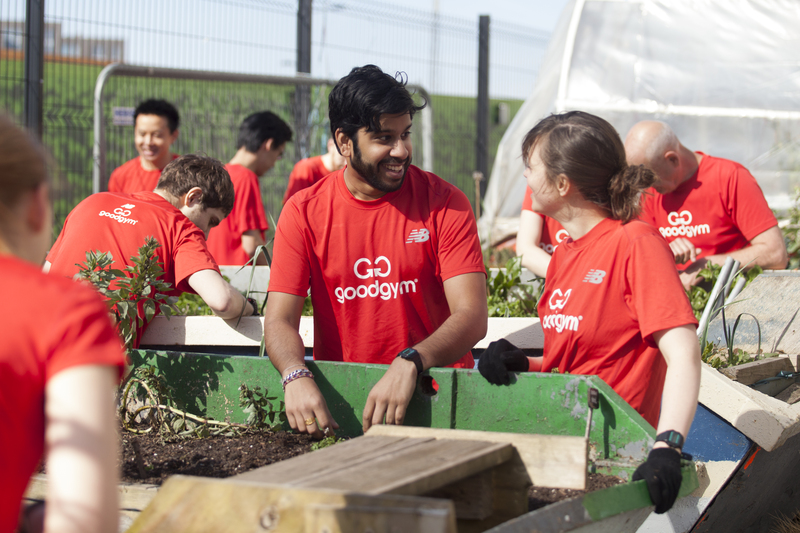 Launched in the London Boroughs surrounding the Olympic Park, GoodGym has now expanded its operations to Lambeth, Westminster, Islington and Brent.